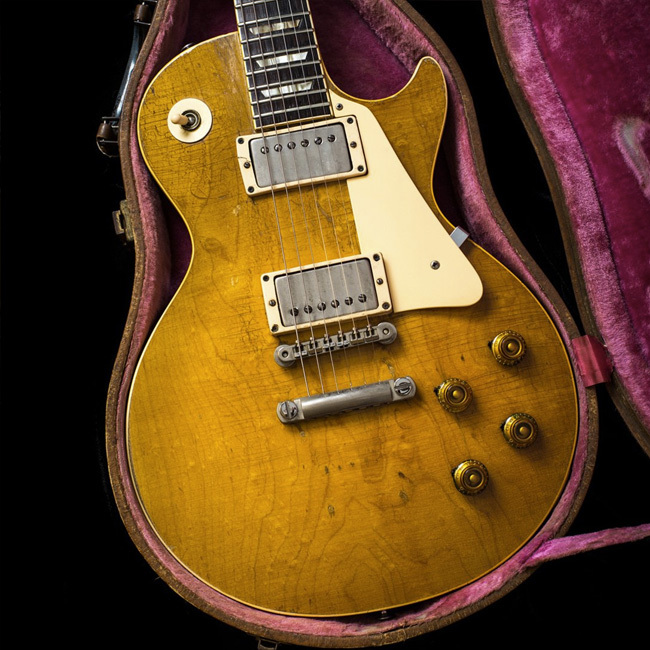 The few genuine '59 "Burst" Gibson Les Pauls in circulation often take on a nickname. Joe Bonamassa’s is called Batman, after a bat-like shape underneath the bridge. The Minnesota Burst is named not for its birthplace, but for where it turned up after having been missing, unplayed for decades. The "Duggie Lock," which we’re featuring today, is a beautiful instrument made in early 1960 to '59 Burst specs, named for its original owner—a guitarist shrouded in mystery. Little is known about Duggie himself, except that he played in a band called Bulldozer, may have been a stage manager in the early '80s for The Moody Blues, and passed away about 10 years ago. Luckily, we know more about the guitar that now bears his name. 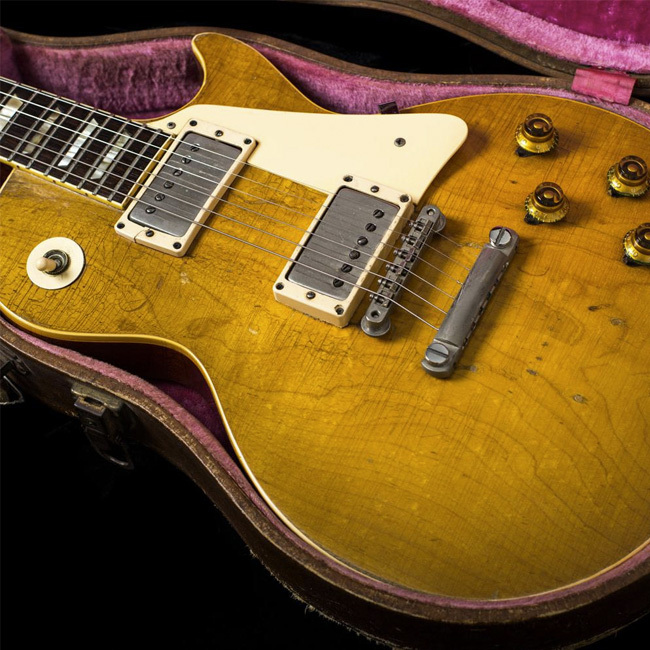 The serial number 0 0284 dates the Les Paul Standard to 1960—specifically, to a small batch of guitars built early in the year from '59 parts and to the original, highly regarded '59 specs. It’s had a little specialist work done over the years, including a bridge replacement and a refret, but the feel and sound is everything that a '59 00 (or in this case a '0 0xxx’) should be. The original PAFs sound rich and organic, the sustain is legendary. So we couldn’t pass up the chance to meet Duggie’s current owner, Andrew Raymond, to hear more about the guitar and what little we do know about Duggie Lock the man. This very special instrument is currently for sale on Reverb from Lucky Fret in Shoreditch, London.